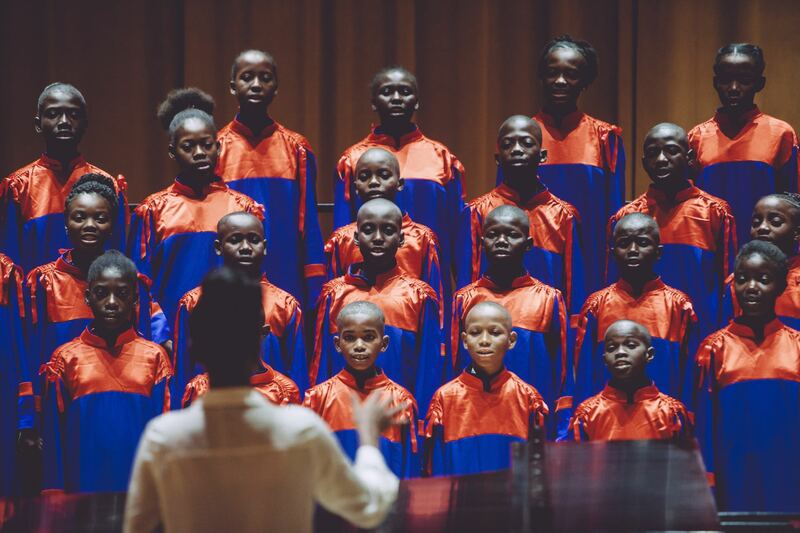 “Joyful is real only when it is shared” – the saying goes – and it is something that the Voices of Haiti (VOH) choir exudes during its first day in Miami. After breakfast, the bus drove the group through Downtown Miami to reach the University of Miami (UM) Frost School of Music where Director Shelly Berg and a delegation of Univeristy choir students awaited VOH with a warm welcome. Throughout the morning the Voices of Haiti choir performed on stage offering to the UM delegation their voices and their colorful energy. A great emotion overran the auditorium when Maestro Bocelli and his family walked in to join the public for a final standing ovation all together. The University of Miami Choir students offered a generous and energic perfomance to the guests and all the VOH choir eyes were wide with surprise and admiration for them. Pictures, short videos, “thanks” and “grazie” closed a perfect moment of sharing. During the stay at UM the young “Voices” choir members got the chance to visit the campus and to have some free time together enjoying the lovely sunny weather while tasting a good ice cream. In the afternoon the choir worked “secretely”, behind closed doors, on the new enthusiastic music project for 2018! The power and the beauty of the music created a new bridge of love today.